An Israeli settler ran over four Palestinian pedestrians in the occupied West Bank, Tuesday evening, according to witnesses. 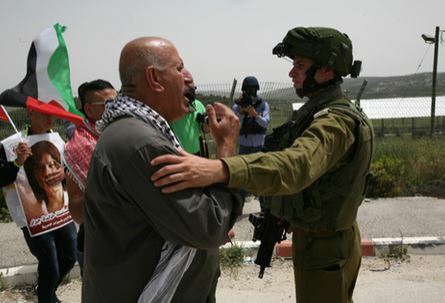 Days of Palestine has reported that the settler approached the four pedestrians while they were walking by the side of the road near the entrance to Nabi Elias village, east of Qalqilia. The driver continued traveling east on Road 55 toward the village of Azun, leaving the injured to bleed, until they were evacuated by Red Crescent ambulances to Darwish Nazzal hospital. The four wounded are two brothers and their wives. One of them is reported to be suffering severe wounds, while another is suffering moderate conditions and the other two have light injuries. An Israeli police spokesperson said that the settler turned himself over to Israeli police and said that he intentionally ran over the four Palestinians. Such incidents occur repeatedly, often involving small children, and they are encouraged because the perpetrators go unpunished after each assault, even if the Palestinians die. An Israeli settler ran over two brothers and their pregnant wives Tuesday evening near Nabi Elias village east of Qalqilia, before fleeing the scene, eyewitnesses said. The four victims were transferred to hospital suffering from varied injuries. Family sources told the PIC reporter that the settler approached the four pedestrians while they were walking by the side of the road near the entrance to Nabi Elias village, east of Qalqilia. The settler flew the scene to the neighboring Karni Shomron settlement, leaving the victims bleeding, the sources added. The two wounded brothers and their pregnant wives were taken to hospital for treatment. One of them was reportedly suffering severe wounds, while the three others were suffering moderate injuries. Such incidents occur repeatedly, often involving small children, and they are encouraged because the perpetrators go unpunished after each assault. A Palestinian child sustained critical injuries after he was hit by an army jeep driven by an Israeli settler on the by-pass road between Hawara and Nablus, in the northern West Bank. Eye-witnesses said an Israeli settler, onboard of a military jeep, ran over the child Mohamed al-Qatouni, from the Ein refugee camp, causing him serious wounds. The child was subsequently evacuated by an ambulance to the Hadassah hospital to be urgently treated for the inflicted wounds. 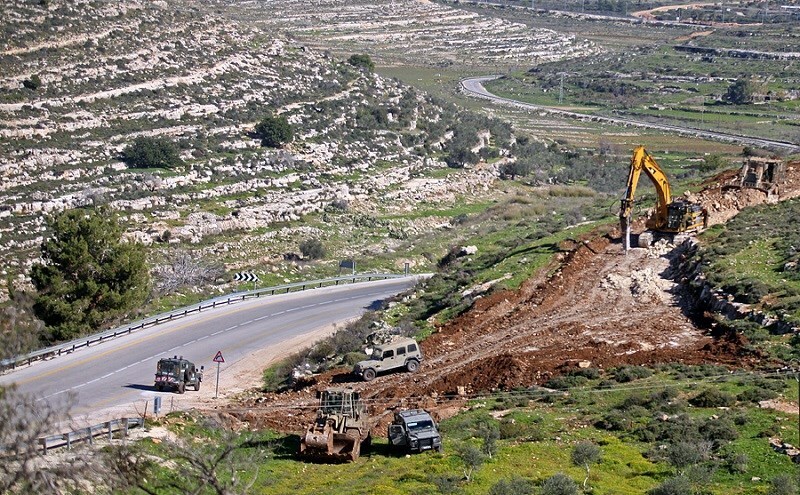 Several Israeli military vehicles invaded, on Tuesday at dawn, the village of Zabbouba, near the northern West Bank city of Jenin, and conducted military training close to the al-Jalama military base, northeast of Jenin. Palestinian security sources said the soldiers invaded four homes and violently searched them while interrogating the families. The homes belong to Samir As’ad Jaradat, Fadel Jaradat, Abdul-Fattah Jaradat and his brother Karim. The invaded homes are close to the Salem military base; the soldiers fired flares and several sound bombs during the invasion. Soldiers also conducted military training, using live fire, near the al-Jalama village, causing anxiety attacks among the residents, especially the children. The army frequently conducts live-fire training in different parts of the occupied West Bank, and sometimes in Palestinian communities and villages, in direct violation of International Law. Israeli soldiers invaded, on Tuesday at dawn, an area near the Balata refugee camp, east of the northern West Bank city of Nablus, and clashed with local youths wounding one. 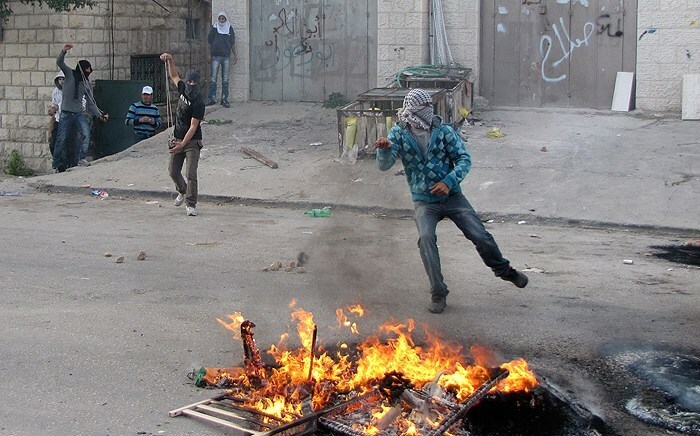 The clashes took place after soldiers, and settlers, invaded the Joseph Tomb area in the city. Medical sources said a young man was shot in one of his legs, and was moved to a hospital in Nablus, suffering a moderate injury. 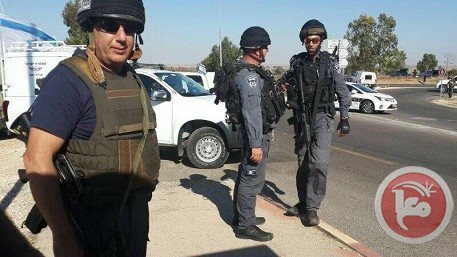 Eyewitnesses said dozens of soldiers initially invaded Nablus, and were followed later by seven buses, filled with settlers, in addition to more than 40 armored military vehicles. They added that clashes took place in Amman Street area, in addition to the Industrial Area and close to the Balata refugee camp; the soldiers fired rounds of live ammunition, gas bombs and concussion grenades. Hundreds of extremist Israeli settlers again invaded and performed prayers at Joseph's Tomb in eastern Nablus, under armed protection, early Tuesday. Locals told Ma'an News Agency that Israeli forces escorted a number of buses carrying Israeli settlers to the tomb where they performed religious rituals. Witnesses said that several Palestinians threw rocks and empty bottles at Israeli forces, who fired tear-gas canisters and stun grenades in response. Locals added that Israeli settlers also smashed several Palestinian vehicles after throwing rocks at them at the Huwwara checkpoint, saying that the group had carried out the attacks after performing prayers in Nablus. No injuries or detentions were reported in either incident. Israeli settlers frequently visit Joseph's Tomb under the protection of Israeli forces. During the visits, Israeli forces regularly raid Palestinian villages in the area and fire tear gas canisters into the nearby Balata refugee camp. Despite lying in Area A under full Palestinian authority, Israeli forces maintain control at the site and prohibit Muslims from praying there. Palestinians believe that Joseph's Tomb is the funerary monument to Sheikh Yusef Dweikat, a local religious figure. Others believe that the tomb belongs to the Biblical patriarch Joseph. The area is sacred to Jews, Samaritans, Christians and Muslims alike. Israeli soldiers attacked, Monday, nonviolent protesters, marching in solidarity with the Palestinian detainees, near the Huwwara roadblock, south of the northern West Bank city of Nablus. Khaled Mansour, a local organizer and a member of the leftist Palestinian People Party (PPP), said the protest comes in solidarity with all detainees, held by Israel, and face constant harassment, abuse and ongoing violations. Mansour added that Israel must stop its ongoing abduction of Palestinians, and must instantly release all detainees. He also stated that various political and social parties in the Nablus district organized the protest, adding that the soldiers used excessive force, and fired gas bombs in addition to concussion grenades. An Israeli man stabbed a Palestinian worker on a construction site north of Tel Aviv on Monday, Israeli police and media reported. The victim, a Palestinian worker for the Herzliya Municipality, told police that a man with a Russian accent shouted "Death to Arabs" before stabbing him in the shoulder. The worker was transferred to hospital for treatment. Israeli police are searching for the suspect, who fled the scene of the attack. Anti-Palestinian attacks in Israel are frequent and often involve the desecration of holy sites in addition to physical assaults. In February, suspected Jewish extremists set fire to part of a Christian seminary in East Jerusalem's Old City and sprayed "Jesus is a son of a whore" and "Redemption of Zion" on the walls. Israeli military forces opened fire at Palestinian fishermen and farmers in the Gaza Strip on Monday, locals said. 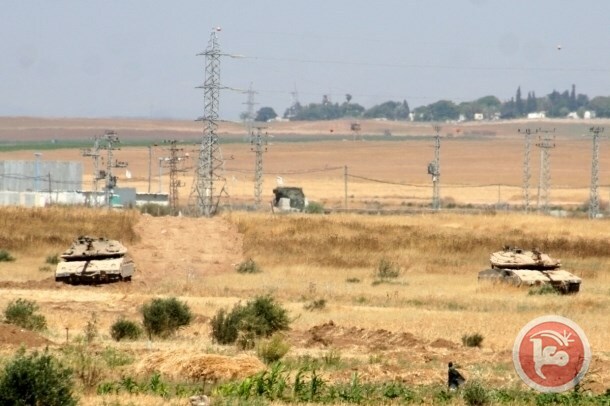 Witnesses told Ma'an that naval forces opened fire at fishermen in the northern Gaza Strip near al-Sudaniyya, while soldiers stationed at the border fired at farmers east of Khan Younis in southern Gaza. 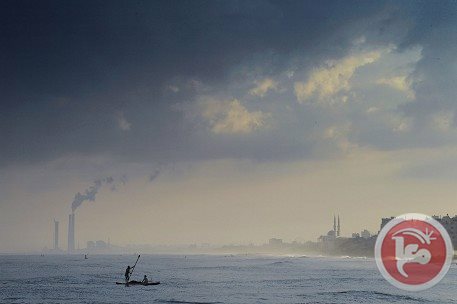 Israeli authorities maintained a fishing limit of three nautical miles on all fishermen in the Gaza Strip until August, when Hamas negotiated a six-mile limit as part of the ceasefire that concluded Israel's two-month summer assault that left 2,200 dead. The Palestinian Center for Human Rights reports frequent incidents of shooting by Israeli forces to maintain a buffer zone around the borders of the Gaza Strip. In March, the group noted 16 incidents of shooting on land and four incursions by Israeli military forces. A number of Palestinian citizens sustained gas injuries on Sunday after the Israeli occupation forces (IOF) stormed the southern West Bank city of al-Khalil. Local sources said a group of Palestinian civilians choked on tear gas canisters randomly unleashed by the IOF during an abrupt assault on al-Khalil city. The IOF further showered the Palestinian young protesters and civilian homes with heavy volleys of rubber bullets, the sources added. The IOF patrols reportedly cordoned off the access road and climbed over the rooftops of Palestinian homes, generating a state of panic among children and women. Tension ran high in the Aqsa Mosque plazas on Sunday morning after an Israeli policeman assaulted a Jerusalemite woman for trying to confront settlers who broke into the Aqsa Mosque. 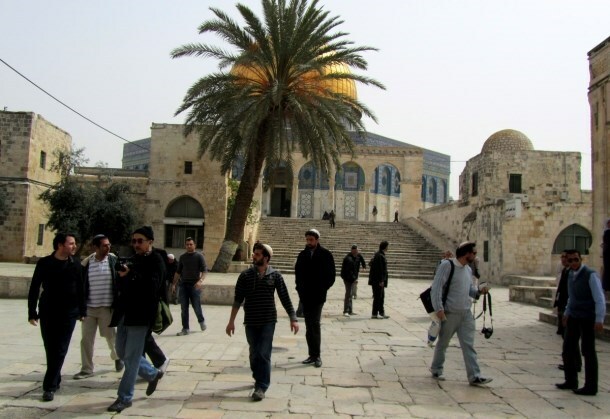 Media sources revealed that dozens of Jewish settlers earlier on Sunday stormed the Aqsa Mosque’s plazas from the Magharebah gate and provocatively performed Talmudic rituals under protection of Israeli policemen and Special Forces. The sources said the Palestinian worshipers have been heading since the morning hours to the Aqsa Mosque to defend the holy site from settler incursions. They confronted the settlers by chants of Allahu Akbar until the Jewish settlers went out of the Mosque via Silsilah gate. Clashes took place in the Mosque’s plazas between Jerusalemites and Israeli Special Forces when a policeman attacked a female Jerusalemite worshiper after she confronted settlers. Policemen took photos of all of the Jerusalemite worshipers including women and children, the sources said. 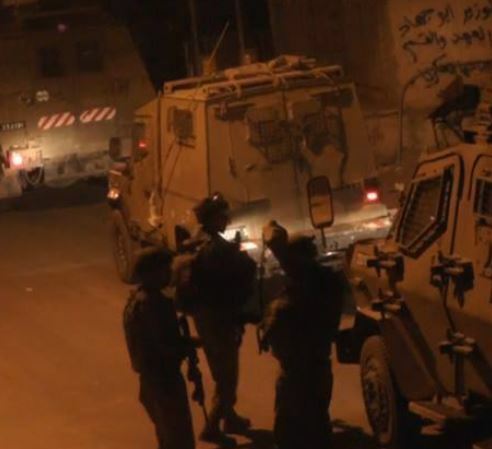 Israeli soldiers invaded, late on Saturday at night, a number of Palestinian towns and communities in occupied East Jerusalem, searched homes and kidnapped one Palestinian. The soldiers also occupied rooftops. 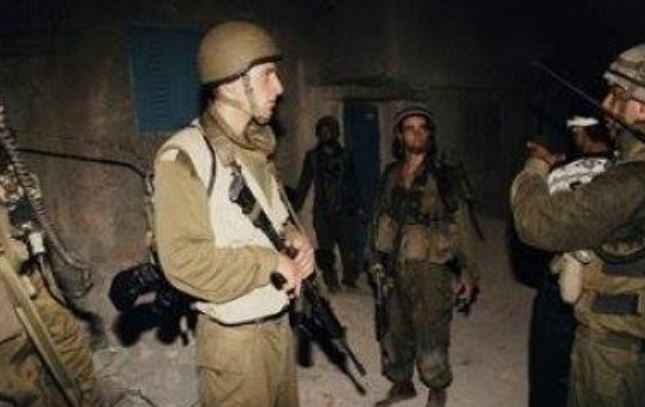 The Palestine TV said dozens of soldiers invaded the al-Eesawiyya town, broke into many homes, including the Shreiteh family home, looking for their son, but he was not home during the attack. 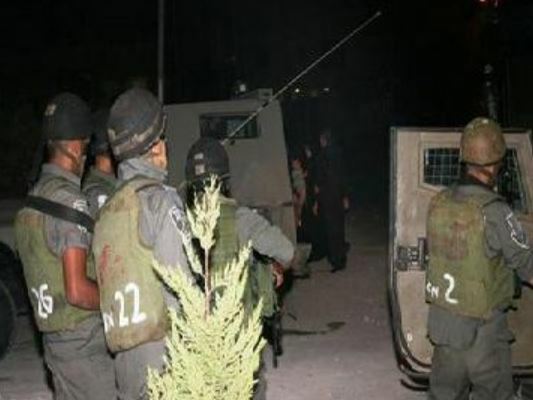 Soldiers also invaded Kafr 'Aqab and Samir Amis neighborhoods, and kidnapped a young Palestinian man after repeatedly beating and kicking him, and took him to an interrogation facility in Jerusalem. The invasion led to clashes between the soldiers and local youths who hurled stones and empty bottles on them, while the army fired rounds of live ammunition in addition to rubber-coated metal bullets, and gas bombs. Eyewitnesses said Israeli soldiers occupied rooftops of several buildings in Kafr ‘Aqab, especially in Um ash-Sharayet, the Airport Road, and the al-Ajlouni neighborhood. In related news, soldiers and police officers invaded Wad al-Jouz neighborhood, in Jerusalem, and ordered two Palestinian families to leave their homes, and remove their belongings, in preparation to demolish them under the pretext of being built without construction permits. On Sunday at dawn, soldiers kidnapped seven Palestinians in the occupied West Bank, including five in Bethlehem, and a child in Hebron. A Palestinian youth suspected of theft was shot and injured in the foot by the Israeli police claiming he attempted to stab a policeman west of Jerusalem Friday night, Israeli media reported. The Walla Hebrew-language website said that the youth from the Nahalin town west of Bethlehem, was detained afterwards, and that his injuries were reported as light. The Palestinian was suspected of theft while raiding a school in the Beit Shemesh town of western Jerusalem Policemen reportedly noticed three masked men inside the school, one of whom attempted to stab a policeman with a screwdriver after police ordered the three to stop. The policeman then opened fire injuring the youth in the foot. The youth was taken to the Hadassa Ein Karem Hospital for treatment, while another one of the masked men was able to flee the area. An Israeli police spokesperson did not immediately return Ma'an's call for further information on the incident. The Israeli Occupation Forces (IOF) detained Friday a Palestinian young man after being shot and injured during the weekly march of Kafer Qaddum town to the north of the West Bank, Palestinian activists reported. The march that marks the Palestinian Prisoner Day was organized in protest against settlement expansion and called for opening the town’s main gate closed for more than 13 years. Spokesperson for Popular Committee against the Wall and Settlement in Kafer Qaddum, Murad Shtaiwi, stated that IOF soldiers violently attacked and opened fire at the protesters. 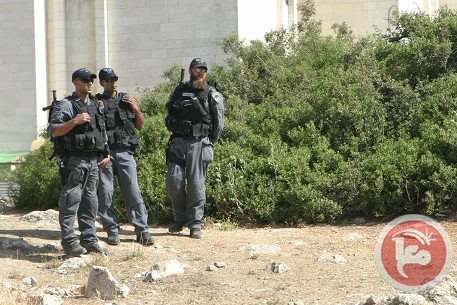 A young man was shot and injured in his foot during the march before being detained and transferred to investigation center in Kedumim settlement built on the town’s land, Shtaiwi added. A second Palestinian young man, from Jenin, was nabbed for allegedly entering the 1948 occupied territories without permission. 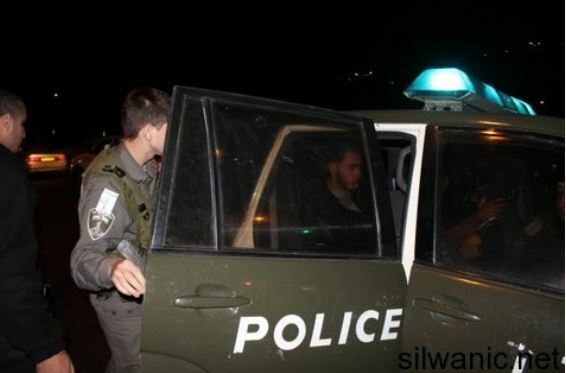 IOF also broke into Jaba’a town in Jenin and arrested a 20-year-old Palestinian at dawn Friday. Meanwhile, a number of injuries were reported after Friday prayers during clashes that broke out in Bil’in town near Ramallah. 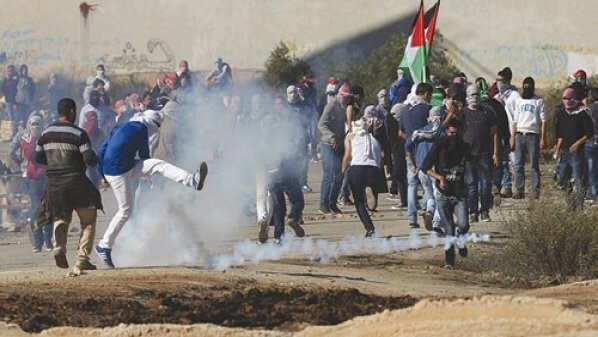 The clashes erupted when Israeli forces attacked a local march organized to mark the Palestinian Prisoner Day. Friday, April 17, marks the Palestinian Prisoner Day, observed in every single inch of the occupied Palestinian territories, to pay homage to the 6,500 detainees held in Israeli occupation jails. 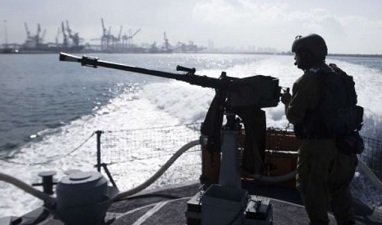 Israeli Navy ships opened fire, on Saturday morning, on a number of Palestinian fishing boats in Gaza territorial waters, causing damage but no injuries. Eyewitnesses said the navy fired dozens of rounds of live ammunition on the boats and near them, causing excessive damage to a number of boats. They added that the boats were close to the shore, within the six nautical miles allotted for the Palestinians to use. There have been dozens of similar Israeli attacks, and violations, against the fishers in Gaza waters, and even while on shore, an issue that caused several casualties, including fatalities, and dozens of arrests, in addition to property damage. 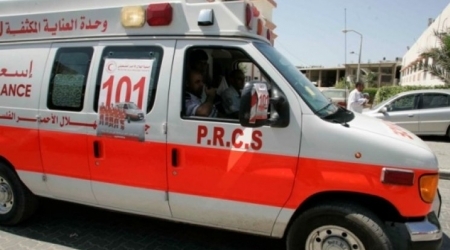 On Saturday, March 7, a fisher died in the Shifa Medical Center, in Gaza, of serious wounds suffered a few hours earlier.